Rhodia is offering four lucky winners over £125 of super-stylish, premium quality notepads and books in a range of colours, sizes and styles, as well as the iconic Rhodia pencils, a premium ballpoint pen and a zipped pouch useful for carrying books or trinkets. 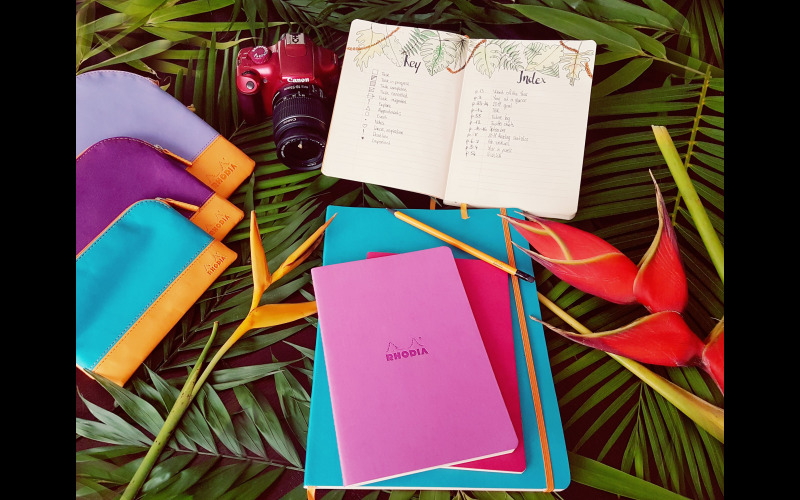 The prize includes no less than five notebooks, available in: handy flip-over head-stapled card; hardbound leatherette; and soft, tactile and lightweight leatherette with expandable pockets and elastic closures. Also included is the new Goal Book, complete with numbered note pages, contents tables, indexing and calendars – perfect for journaling. A well-established French heritage brand dating back to 1934, Rhodia is best known for its iconic orange and black colours, though the last few years has seen it branch out into elegant whites and silvers, and with Rhodiarama, a range that celebrates all the colours of the rainbow! All Rhodia notebooks and pads come with premium quality, ultra-smooth, satin-finish Clairefontaine paper that really is a pleasure to use. A prize sure to keep stationery fans inspired for months on end!